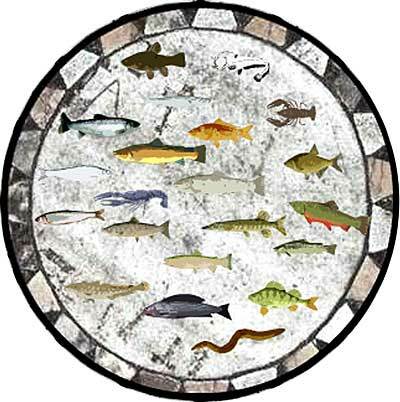 pike, perch, tench, (common) bream, carp, wels/sheat-fish, burbot, eel, crayfish, (signal crayfish), salmon, brown troat, sea troat, lake trout, rainbow troat, char, brook troat, vendace, large bottom whitefish, graylin and smelt. and submit your own song to the installation in Trollhättan. The Fishcomposer opens up new possibilities to edit and arrange soumds of freshwater fishes. If you are looking for an alternative to the mainstream whale and dolphin songs, you just found it. You need flash 6 to use the fishcomposer.